A warm and inviting combination of Georgian architecture and contemporary design in Dublin's city center. Parks, shopping and entertainment are all just around the corner from The Green Hotel. 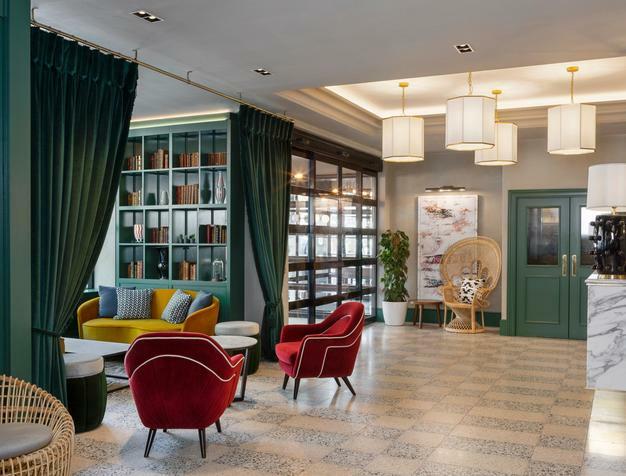 This recently renovated 4-star hotel enviably located at St. Stephen Green park consists of 2 magnificently restored Georgian buildings full of history and heritage. The stylish interior design with wood paneling, soft leather furnishings, and the stunning glass atrium, contrast with the majestic ceilings and elegant fireplaces in a beautiful combination of contemporary comfort and classical charm. 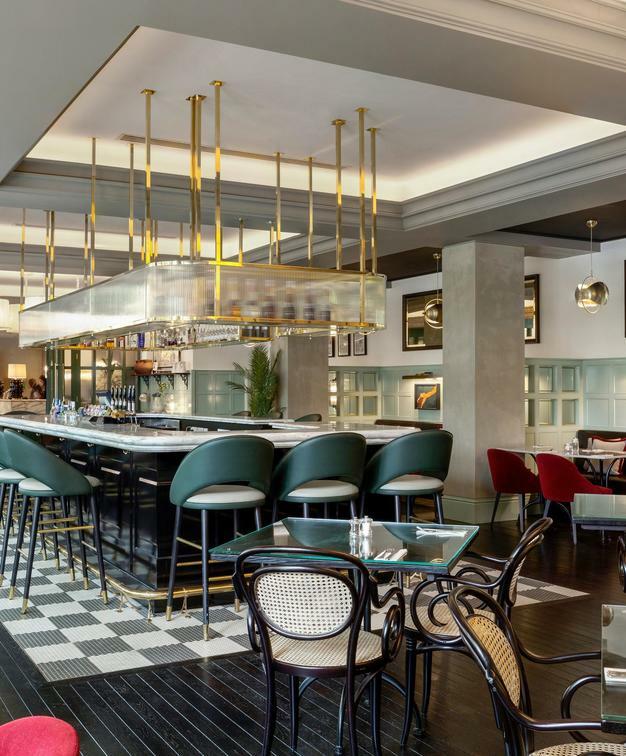 Guests can enjoy the super trendy bar and restaurant featuring wide windows that look out onto the street and a wide selection of international dishes prepared with locally sourced ingredients. The spacious rooms are decorated with a cool and calm palette. Sound-proofed, which iin this central location is ideal, they come with hi-tech necessities, original Irish pieces of art and intriguing extras, such as radios and retro-style telephones. Go high for good city views that can be enjoyed from the balcony. "Dublin is magic and so is Stephens Green Hotel. A very nice spacious clean beautifully renovated room with all the amenities you may need!! Right in the middle of everything, 2-minute walk to the center!" The 7 executive meeting rooms have natural daylight and high speed internet access. The Georgian Library, with its original features, will grant a classic touch to your coffee breaks and break-outs and The Pie Dish bistro is the perfect setting for an informal reception for up to 90 guests. All hotel life focuses on the Green restaurant and bar, with its wide windows overlooking the street. 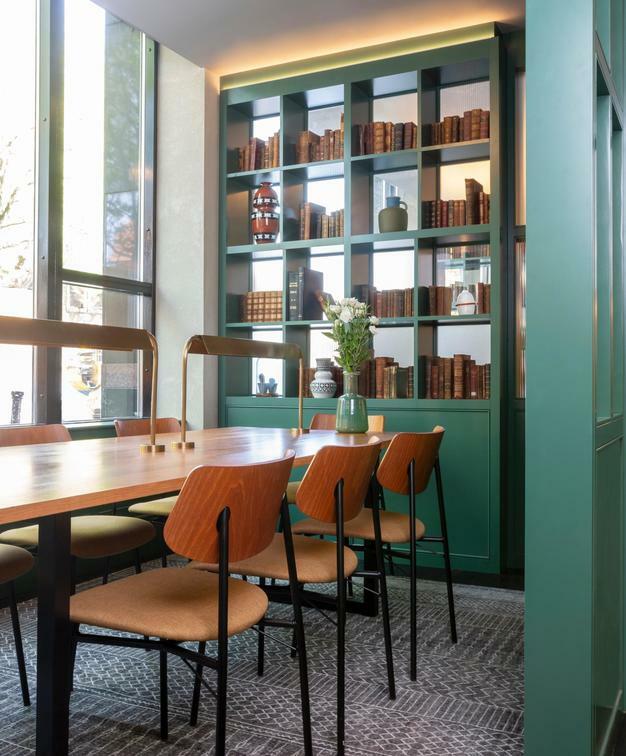 Decorated with globe lamps, new artworks, and dark wood; the bar is sparkling and bright and features international dishes prepared with locally sourced ingredients. Located on the first floor is a Georgian library, with its charming old-world feel, open fireplaces, and chandeliers – an ideal way to unwind over a pre-dinner drink. 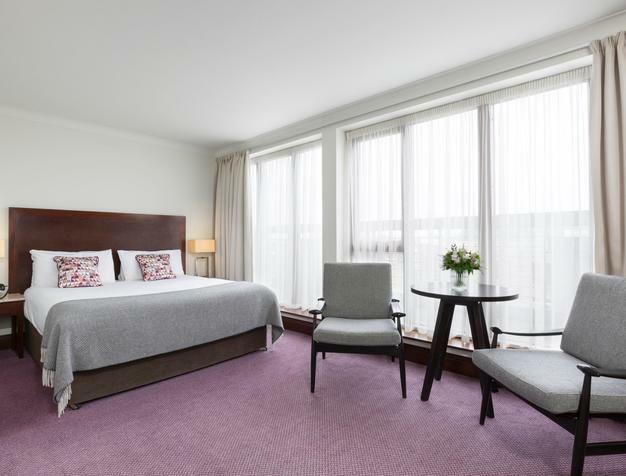 A gymnasium is also exclusively available exclusively for guests, who can also use the facilities and services of any Dublin O’Callaghan Hotel and have the account conveniently billed back to your room.